Material: high-quality zinc-free nickel-free alloy, rhinestone, durable to use. Occasion: Great for wedding, party, prom, or daily wearing, bringing you bling. Each brooch has a pin fastener on the back to provide strong hold to any cloth surface. Great for matching with your coats, dresses and most of your costumes at some special occasions. 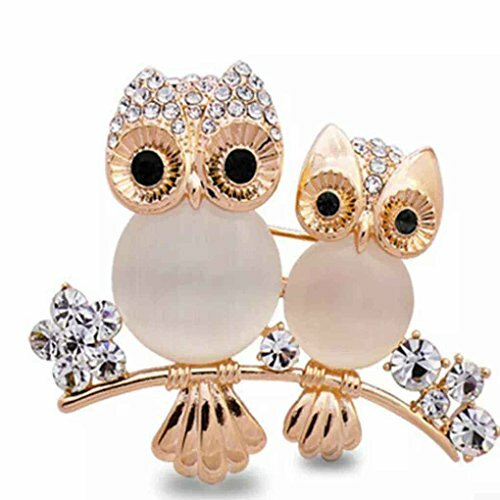 Cute owl shape design, this brooch pin makes an excellent gift for birthday,valentines in birthday, Chistmas and new year.